Customizable Tent Sign Is Designed For Indoor And Outdoor Display With A Heavy-Duty Plastic Construction. Double-Sided Directional Sign Includes Two 8-1/2" X11" Inserts And Two Clear Plastic Overlays To Protect Your Messages From Dirt And Moisture. Additional Templates And Graphics Are Available Online For Increased Customization. Simply Print And Insert..
Customizable Tent Sign Is Designed For Indoor And Outdoor Display With A Heavy-Duty Plastic Construction. 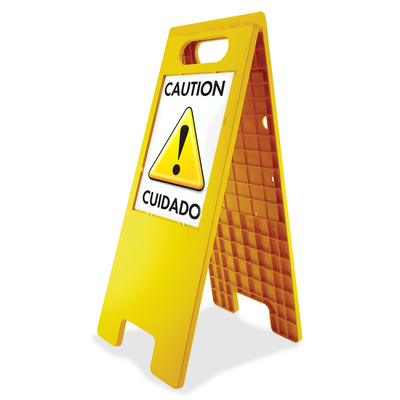 Double-Sided Directional Sign Includes Two 8-1/2" X11" Inserts And Two Clear Plastic Overlays To Protect Your Messages From Dirt And Moisture. Additional Templates And Graphics Are Available Online For Increased Customization. Simply Print And Insert.